Do you know the average age at which a child in Shasta County takes a first drink of alcohol is 13 years? Research shows that young people who drink alcohol before age 25 are 40 times more likely to have on-going issues with alcohol throughout their lives. 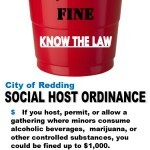 In an effort to reduce children’s access to alcohol and other controlled substances, the Redding City Council has passed a Social Host Ordinance that will take effect December 18, 2015. 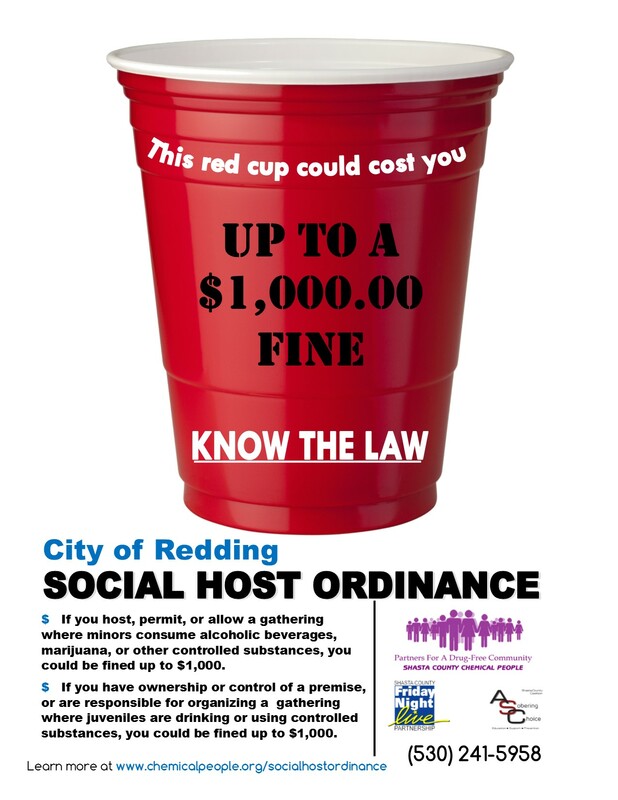 Adults who host, permit, or allow a gathering where minors consume alcoholic beverages, marijuana, or other controlled substances, could be fined up to $1,000. 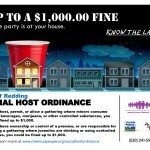 An adult who has ownership or control of a premise, or is responsible for organizing a gathering where juveniles are drinking or using controlled substances, could be fined up to $1,000. 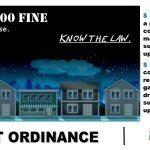 What is the Social Host Liability Ordinance? 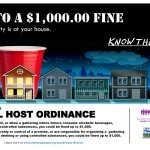 The ordinance holds individuals responsible for hosting, or knowingly providing a place for underage drinking to occur. 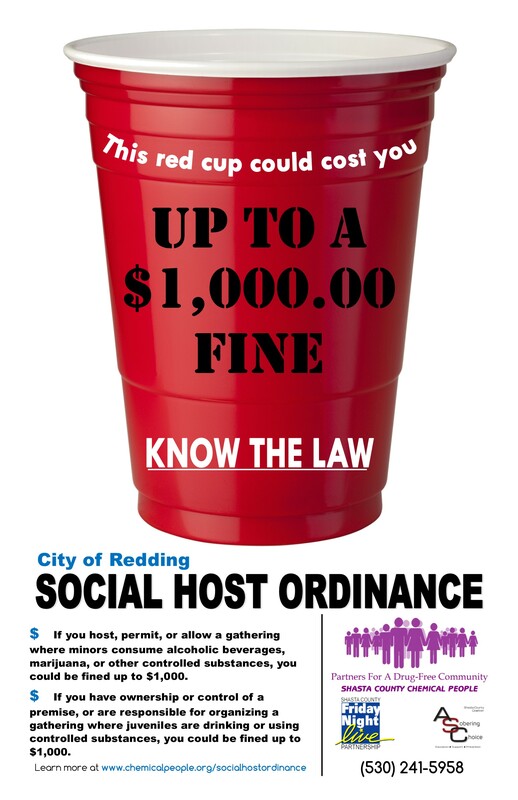 A “Social Host” refers to a person(s) who knowingly allows the possession or consumption of alcohol by underage drinkers on property that he/she owns, leases, or otherwise controls. 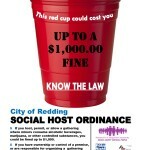 How is a Social Host Liability Ordinance different than laws that already exist? Under current laws it is illegal to furnish alcohol to individuals under the age of 21. However, in a party setting, it is often difficult or impossible to identify who provided the alcohol. 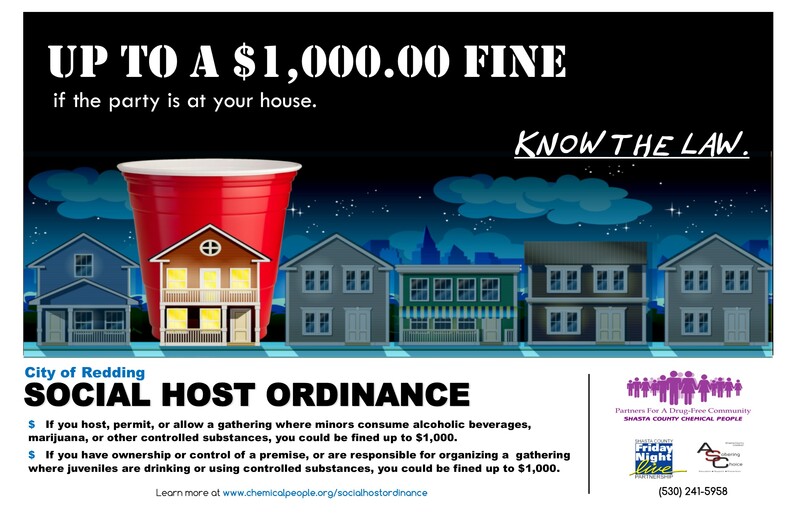 Therefore, the new ordinance assigns responsibility to those who knew or should have known that a party, involving underage drinking, was occurring on their property. 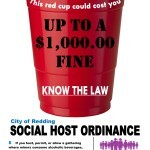 What are the civil penalties for violating the proposed Social Host Ordinance? 3. $1,000.00 for each additional violation. How can I avoid breaking the law? Be aware of who is in your home and what they might be bringing to the party. Know who’s at your party. 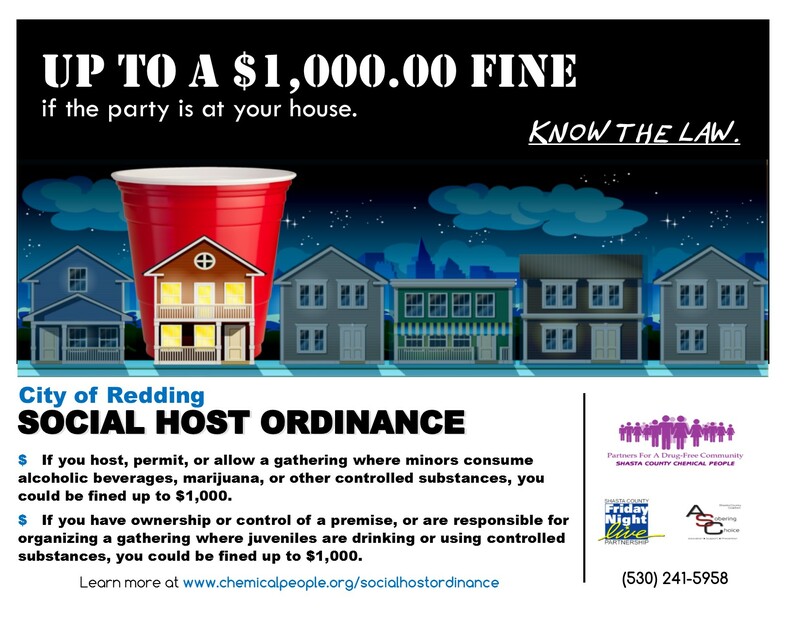 When you let those you don’t know and who may be underage in your house/yard to drink, you are risking violation of this ordinance. If you discover that underage people are drinking at your party, ask them to stop and call their parents. If they do not cooperate, call law enforcement.